Thomas Hobbes told us the State is necessary to protect us. The war of all against all that would ensue without a State to protect us from each other would be worse than even a terrible despot. New Zealand’s Hobbeseans can this week thank the State for protecting us from artisanal cheese. Biddy Fraser-Davies’ ongoing fight with the Ministry for Primary Industry again bubbled up into the media spotlight. She makes award-winning small-batch raw-milk cheeses in Eketahuna. Radio New Zealand reports that, last year, at least half of the $40,000 her four cows’ cheese earned went to cover the State’s regulatory fees. I was surprised that MPI still hounds Biddy. The 2014 Food Act was supposed to scale regulatory burdens to the risk imposed, but that doesn’t seem to have affected cheeses under the Animal Products Act. Biddy has to submit samples for expensive testing from ten consecutive tiny batches. She has four cows. There’s an old joke about farming under different political systems. Under communism, you have two cows that you have to take care of, and the government takes all of the milk. Meanwhile, under capitalism, if you have two cows, you sell one to buy a bull. Well, artificial insemination means you don’t really need the bull any more. But it looks like under New Zealand Nanny Statism, if you have four cows, you have to milk two of them to cover the regulatory compliance costs for the other two. And that’s its own load of bull. Worse, New Zealand raw milk cheeses are reported to be held to a higher standard than European ones sold in New Zealand. But just think how much worse it would be without the State to protect us here. Under the terrible, terrible ravages of voluntary interaction, makers of very safe large-batch cheeses would be able to put certification stickers on their cheeses advertising that fact. Makers of small batch cheeses could put labels on theirs saying that small-scale artisanal products are riskier than big commercial products, but sure are tasty. And consumers could weigh up the risks and make their choices. I wonder if Hobbes adequately considered the tyranny of those who would protect and torment us for our own good. 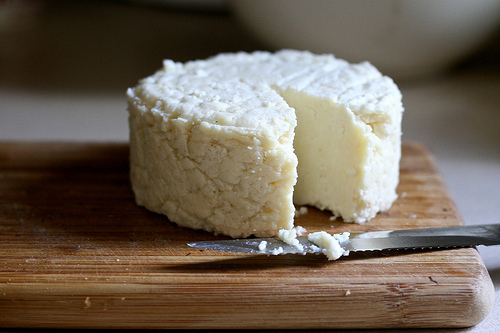 The 2009 regs on raw-milk cheeses came in under National. National’s 2008 election campaign was all about doing away with the Helengrad Nanny State. If readers can think of any policy area in which National has proved less nanny-state than Helen Clark’s Labour government, please let me know in comments. I cannot think of any currently. There are some areas where they have held the line against increasing paternalistic regulation, but it is much harder to think of areas where they reversed things. Fully legalising gay marriage could count, but it isn’t like Helen Clark wouldn’t have done that had she won in 2008.